My client is a Leading Specialist Care Company, who are looking to open a 3 to 4 bedroomed Residential Unit near Norbury Junction, Staffordshire. We are currently looking for an experienced Senior Support Workers. The successful candidates will hold an NCQ 3/QCF 3 specifically in “The Children and York People Workforce/Residential Child Care”. This Specialist Care Company, has a genuine commitment to making a real difference to young lives. As a Senior Support Worker, you will be providing a combination of support and domestic care. You will be empathetic and understanding of the trauma those in your care have suffered which can manifest in to very challenging behaviours. Flexible to work to a 24-hour shift pattern, 1 day on / 2 days off etc. For this role the successful applicant will undergo an enhanced DBS. If you meet the above specification then please get in touch ASAP! Send a current CV for the attention of Hayley to hayley.bent@directrecriutment-uk.co.uk or call 01785 819880 for more details. 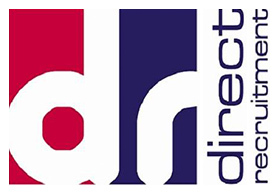 Direct Recruitment (Midlands) Ltd are acting as a Recruitment Agency in relation to this vacancy.